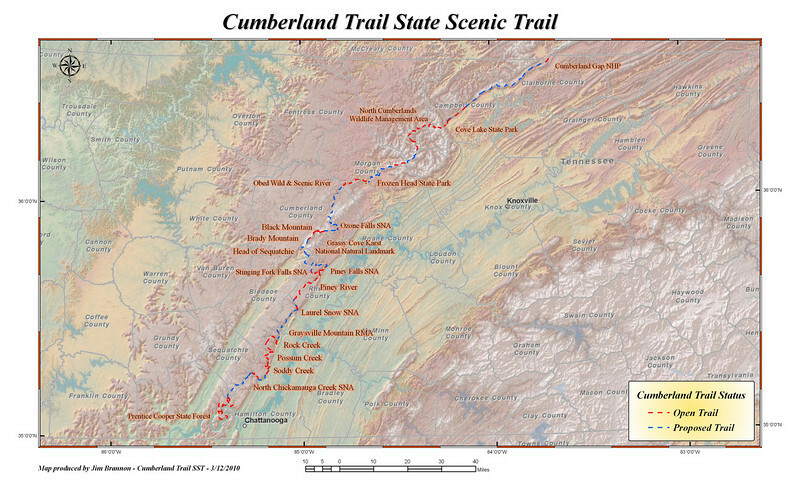 Here is a map I found online of the Cumberland Trail. It is the first of its kind... a linear State Park! I have hiked sections of it as it has been completed and found it to be a fantastic place to hike.